It is a soft, malleable, ductile, silver-gray metal. It is stable in air, but it is slowly oxidised and it reacts with cold water. 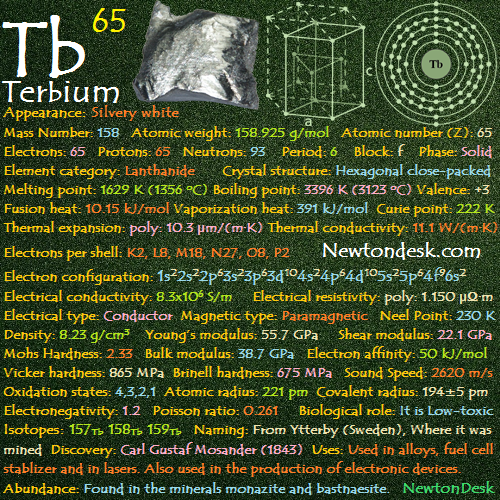 Terbium is expensive and rare element, so it has few commercial uses. 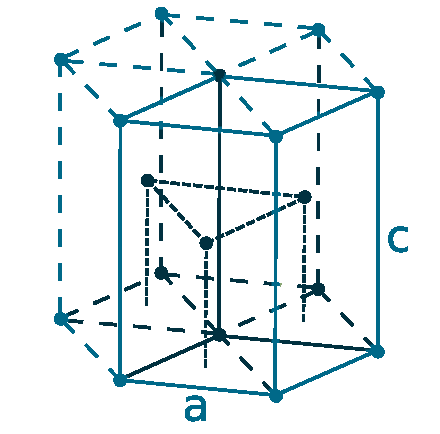 Some minor uses are in lasers, semiconductor devices, and phosphorous in colour television tubes. 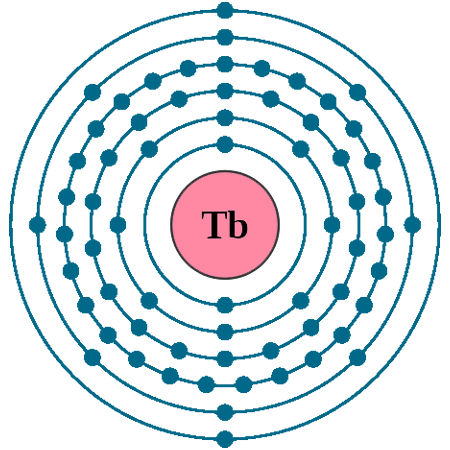 Sodium terbium borate is used in solid-state devices. ATerbium can be used with Zirconium dioxide (ZrO2) as a crystal stabilizer of fuel cells which operate at high temperature. It is also used in low-energy lightbulbs and mercury lamps. It has been used to improve the safety of medical x-rays. Biological role: It is Low-toxic, But it should be handled with care. Found in the minerals monazite and bastnaesite (chiefly in monazite ore). It can be extracted by ion exchange and solvent extraction. It is also obtained from euxenite, a complex oxide containing 1% or more of terbiums. 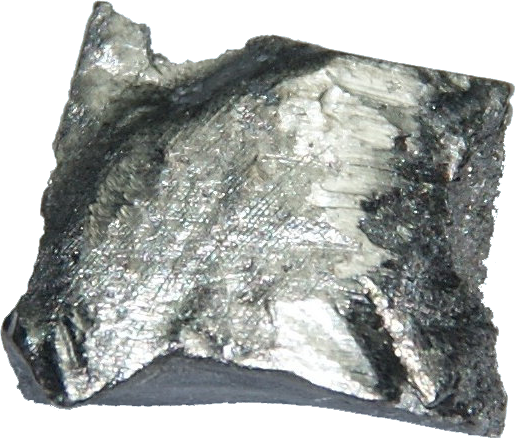 Terbium metal is produced commercially by reducing the anhydrous chloride or fluoride with calcium metal under a vacuum in a tantalum crucible. It can also produce by the electrolysis of terbium-oxide in molten calcium chloride. Annual world wide production is around 10 tons.